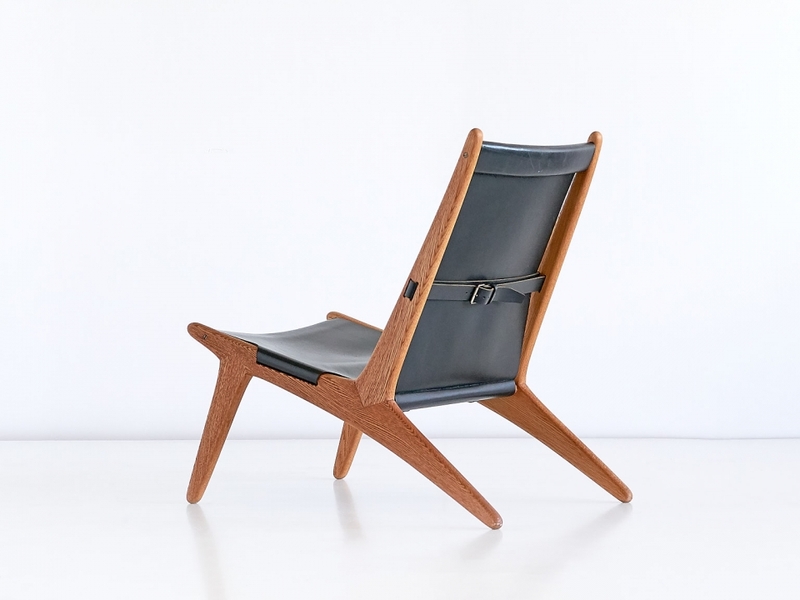 This striking lounge chair was designed by Uno and Östen Kristiansson and manufactured by Luxus AB in Vittsjö, Sweden from 1954 onwards. 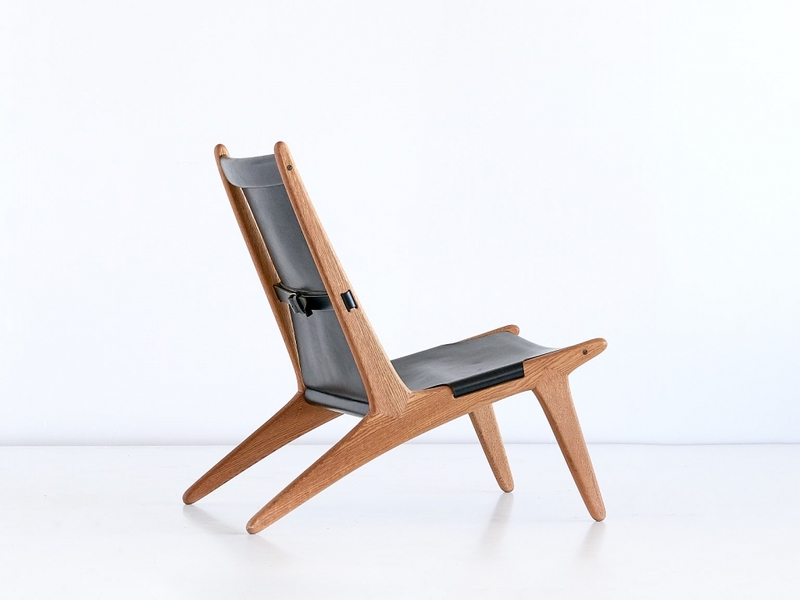 The design of this model numbered 204 is often referred to as a hunting chair. The frame is made of solid oak wood and the black leather seat can be adjusted with the several straps. The comfortable chair is marked with a Made in Sweden label.